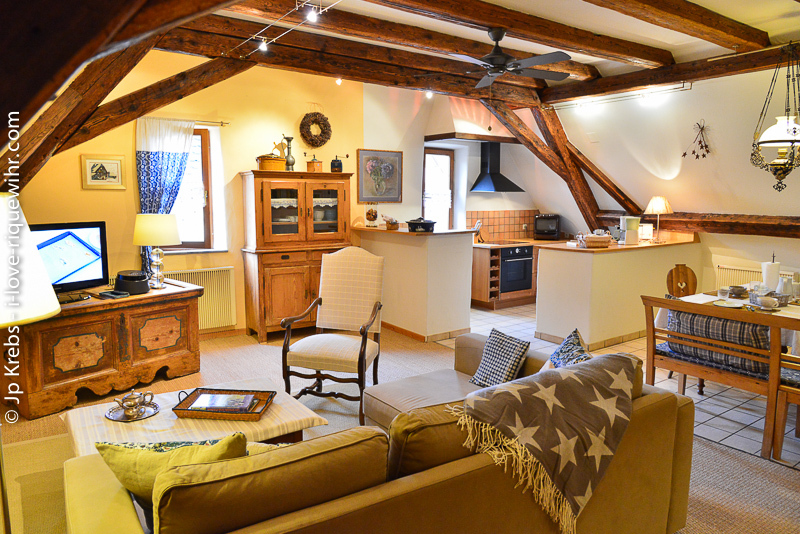 Muscat spacious vacation rental for a family of 4-5 in Riquewihr Alsace. 2 bedroom apartment 1 bathroom. 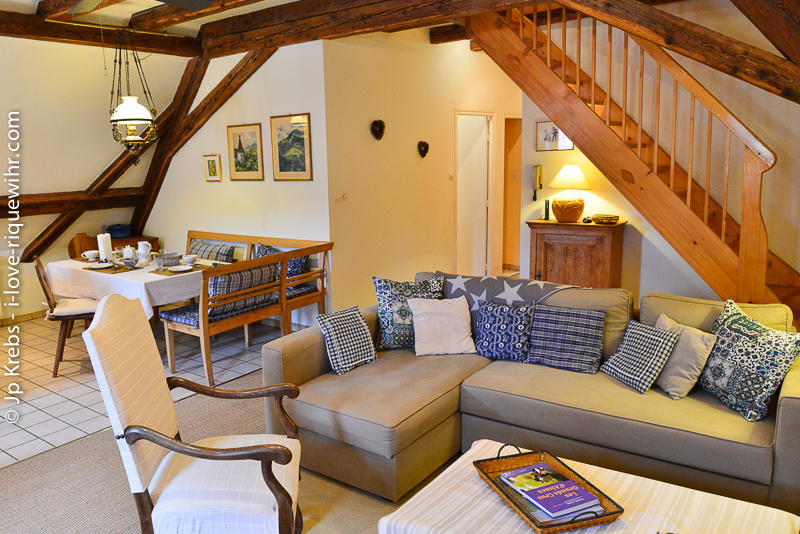 Spacious holiday apartment for 4-5 persons: 2 couples or a family of maximum 5 people. Large living area with kitchen and dining corner. 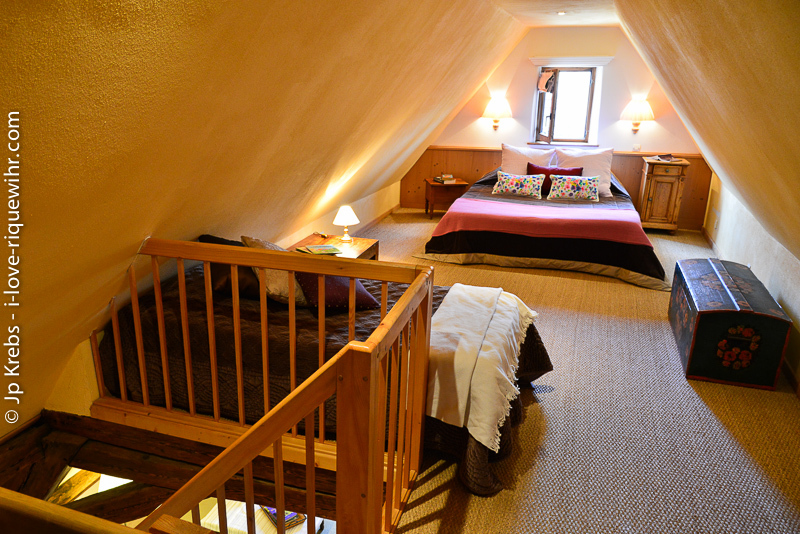 One double bedroom + one triple bedroom. 1 bathroom + 1 independent toilet. 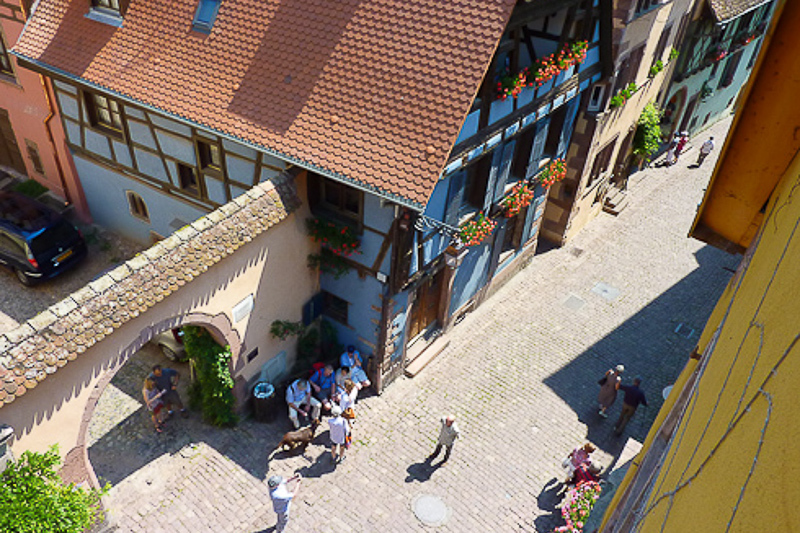 Our Muscat holiday home is located in the heart of the medieval city Riquewihr, on the third floor of a traditional medieval alsatian house. The apartment spreads over two levels. 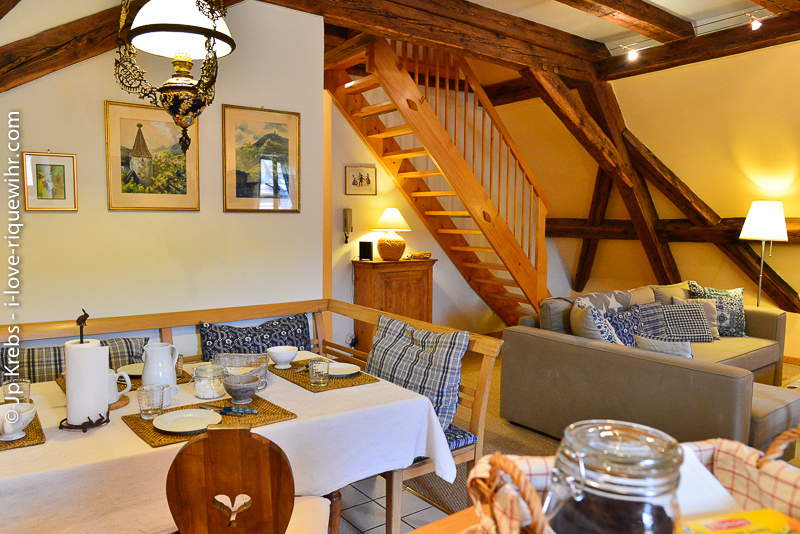 On the first level: a large living area with full equipped kitchen and Alsatian dining corner. 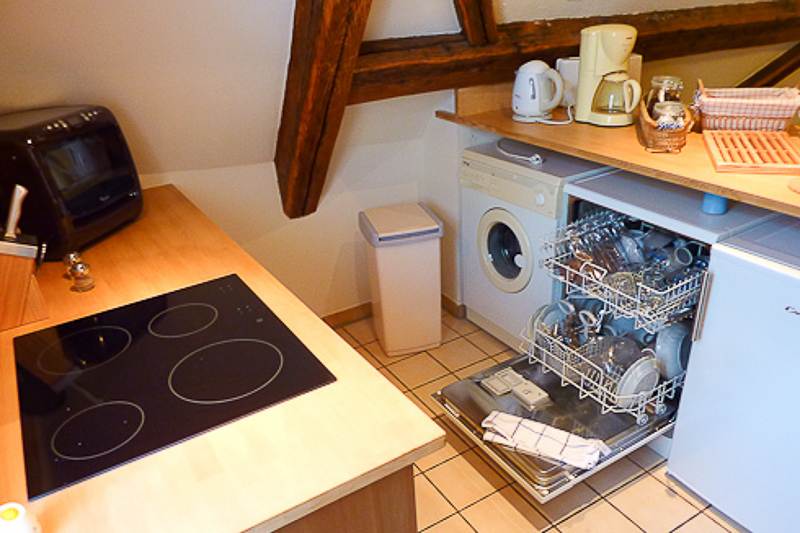 Please note that the TV channel package in this apartment offers French, German and Swiss channels. No English language channels. 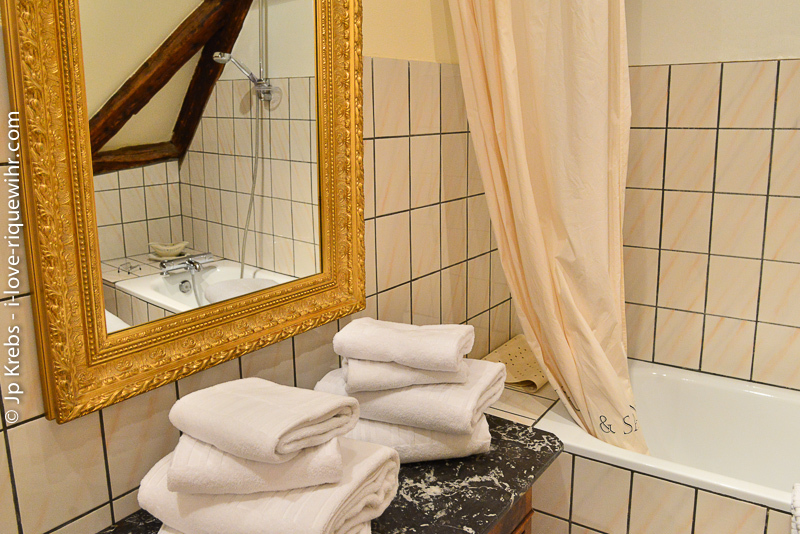 One double bedroom (160 x 200 cm bed), 1 spacious bathroom + 1 independent toilet. 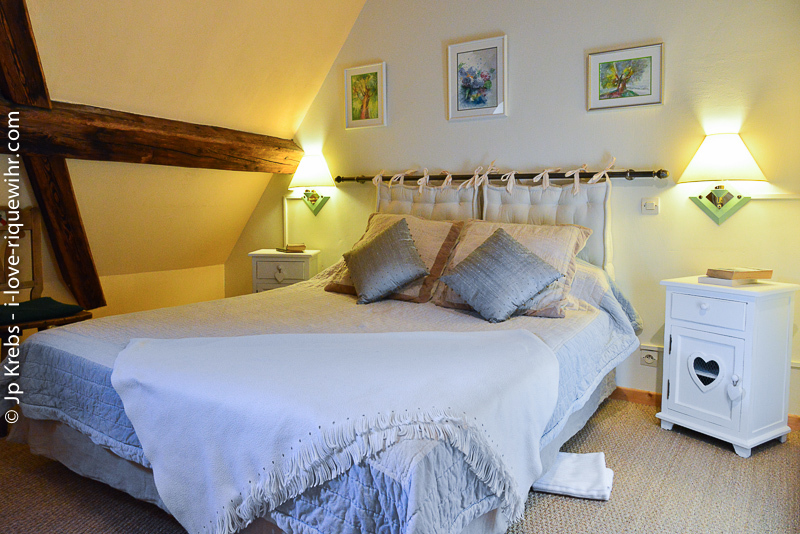 On the second level there is another bedroom with a double bed (160 x 200 cm queensize bed) + 1 single bed (80 x 200 cm). 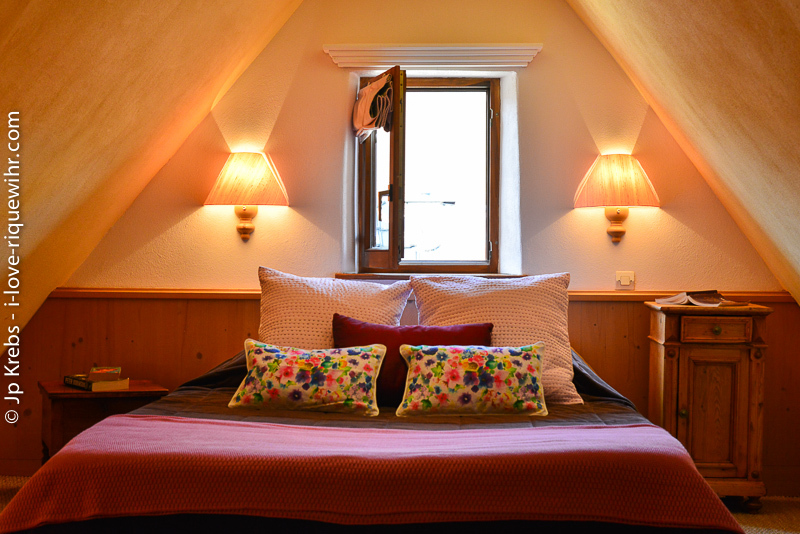 The upper bedroom is airconditioned.